Give the gift of pre approval this holiday season! This is the season for giving. If you have set a financial goal to buy a home in the new year, the best gift you can give is the gift being pre approved to buy a new home. Buying a home requires saving, having steady income, and using your credit wisely to build a good score. Your home loan pre approval is something that is earned, so knowing that you are ready to buy is incredibly rewarding. Surprising your family or significant other with your pre approval letter could be an exciting start to buying your new home. Being pre approved for a home loan is the important first step to buying a home. 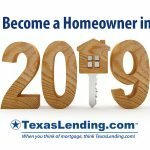 Whether you are looking to buy a home in a few weeks or a few months, it is a good idea to take a look at your financial outlook for a home loan ahead of time. We are happy to help you get pre approved and on your way to becoming a new home owner in the new year. Give your loved ones the gift of a future in a new home with your pre approval letter. Reach out to us the get started today! 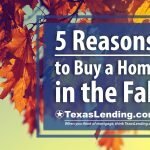 Texas Lending is an equal housing lender. This is not a commitment to lend or extend credit. Programs, rates, terms and conditions are subject to change without notice. Terms and conditions apply. All rights reserved. Contact us for details. NMLS #137773, 4100 Alpha Road, Suite 300, Dallas, TX 75244.